After writing the buying guide for car amplifier last week, I received many emails asking about what are the famous brands for car amplifiers. 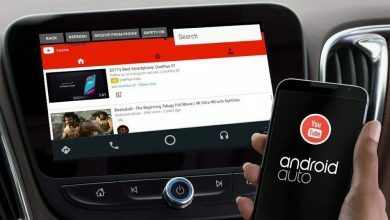 So, I decided to write a detailed article on Car Amplifier Brands List for 2019. You must know that there are many useless and so-called brands in the market, and they claim to have the best car amplifiers in the world. These companies spend millions in the form of advertisement and they will make people believe that they are the best. We, at Stereo Authority, only focus on the quality brands who genuinely deliver quality. 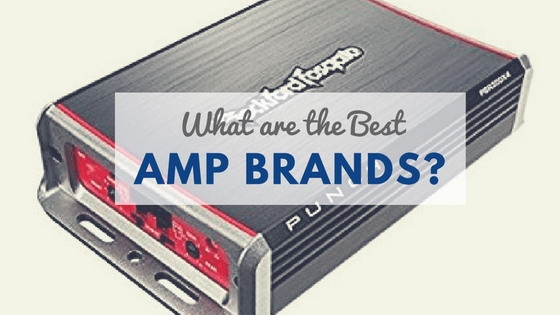 2 What to look for in a Car Amplifier Brand? Here, I will mention all the major brands that are manufacturing quality car amplifiers. Boss Audio was founded in 1987 and they have worked hard and today they are among the top manufacturers of car audio equipment, including car amplifiers. Today their products are being sold in more than 130 countries across the globe. I have personally used Boss Audio car amplifier and found it to be among the best. Among their best amplifiers are: Boss Audio AR1500M Car Amplifier, Boss Audio Elite Series Car Amplifier, Boss Audio AR3000D, Boss Audio PD5000 Phantom etc. Now Rockford Fosgate is one of my favorite companies when it comes to car audio. My family has been using their products for years now. I call Rockford Fosgate as one of the premium and quality brands in the car amplifier industry. Their famous products include Rockford Fosgate P500X 1BD, P7001BD, R600 4D, PBR300X1, R150X2, P600X4 etc. A relatively new brand if we compare it to giants like Boss Audio or Rockford Fosgate. 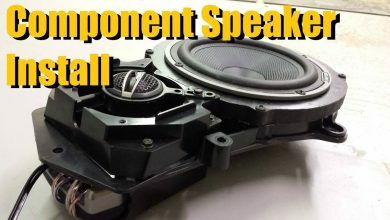 Skar audio has worked its way to the position where it has got a good reputation in car audio accessories and products. I have not used their products but I have seen many satisfied customers. Among their best car amplifiers are Skar Audio RP-2000, Skar Audio SK-M400, Skar Audio SK-M9005D, Skar Audio RP-1500. Again a big name in the audio industry. Alpine has been in the manufacturing car audio accessories and different parts for many years now. Their car stereos are famous among other different products including car amplifiers. These are Alpine best car amplifiers Alpine PDX F6, Alpine MRH-F255, Alpine MRX T17, Alpine MRV-M250. Now Dayton Audio not only manufacturers car audio accessories but they are also into home audio equipment. I have seen a few of their products at a friend home. I have not used Dayton Audio products personally but there are good reviews from the majority of buyers. Car Amplifier Brands List will never be completed without Hertz products. This brand started low many years back but today Hertz is among the top manufacturers of car audio accessories and major products. I am using one of their amplifiers at our family car. You can trust this brand. I have found these car amplifiers to be among best Dayton Audio DTA-120BT, Dayton Audio’s versatile APA150, Dayton Audio DTA3116HP, Dayton Audio B652, Dayton Audio SPA250. This brand started with a boom and within no time became one of the leading manufacturers of car audio accessories including car subwoofers. I remember a couple of years back, it was a big hit and people used to ask for a Kenwood audio. Hertz Audio HDP5 5, Hertz Monoblock, Hertz Audio HCX 690 (HCX690), Hertz HP3001 SPL, Hertz Audio HDP5 are among their best car amplifiers. Pioneer is one of the brands having a high rating among the best amplifiers. These amplifiers are prepared for 1600 watts for maximum sound power. Pioneer is seeking towards excellence since its establishment, providing the highest sound quality. Pioneer amplifiers provide the audio frequency adjustments to the subwoofers according to your own choice, you can increase the volume according to your preferences and liking. Pioneer amplifiers have an enhanced or improved circuit protection that prevents the circuit from breakdown and control temperature rise. These amplifiers are just excellent. One of the best car’s amplifiers to buy is JL audio; you can also select these amplifiers also. JL audio was actually found in 1977. They are manufacturing high-quality amplifiers in affordable ranges. These awesome amplifiers with high durability are a good option for you people. Pyle had done the massive transformation and expanding in the car’s audio market since its establishment. Pyle audio gained a massive grip in the market and are producing a wide variety of amplifiers for an enhanced audio experience and fairly affordable prices that you will surely praise. Another best brand of amplifiers is planet audio. They also have reached to the above level in amplifiers world because of their dedicated efforts. Totally affordable to everyone and having an improved sound quality. It’s a better and improved option for people who do not want to spend much on amplifiers. If you want some reliable, high quality and boosted listening experience that will make you lost in the music world and along with this you also want to spend less money, than these features all will be provided to you in these amplifiers. They are a very much good option to choose for your car’s audio system and among the top brand amplifiers that will provide you quality listening. What to look for in a Car Amplifier Brand? Now that I have mentioned Car Amplifier Brands List, the next thing is how to select the best brand, I have seen people who are confused between certain brands. Let me tell you first thing to look at any brand or manufacturer is what sort of product warranty they offer. If a brand is offering a lifetime warranty, of course, they are not here to fool. Trsu a brand with a long history of manufacturing that very brand. Look for buyers reviews, people who are using the product knows better. A brand may lie about certain features but a buyer never will. You must also have good door speakers to work with car amplifiers. Look in your community, if you can find someone who is using the same brand which you are planning to buy, access its quality and features. Don’t get trapped in cheap items or fake sales. Go for the quality and durability even if you have to spend a few more dollars. Check if you can find a good class d amplifier. Now that I have given all details related to Car Amplifier Brands List, its time to tell you guys about my pick. I choose to go with Rockford Fosgate, I am a big fan of their products. They only deliver what they promise, I have used many brands amplifiers but this brand stands tall among all. I personally love to use a class d amplifier. These awesome amplifiers bring quality and latest technology to deliver just awesome and neat music. Class D Amplifiers are most efficient and now designers have come with best possible designs that deliver only the best possible quality. Strangely people have very little idea, how good these class d amplifiers are. Read this Car Amplifier Buying Guide for more details. You can contact me if you have any questions related to car amplifiers.